Across the world, the healthcare sector is undergoing transformation and expansion. Advancement of healthcare facilities in several parts of the world which includes installation of hi-tech diagnostic and therapeutic equipment is increasingly gaining traction. Private healthcare agencies, international organizations, as well as national governments are striving to improve healthcare facilities across the world. Installation of hi-tech equipment for disease diagnosis and therapeutics is on the healthcare development agenda of governments especially in developing countries. Initiatives undertaken by private healthcare organizations for improvement of healthcare facilities is also favoring the adoption of hi-tech healthcare equipment in developing countries. 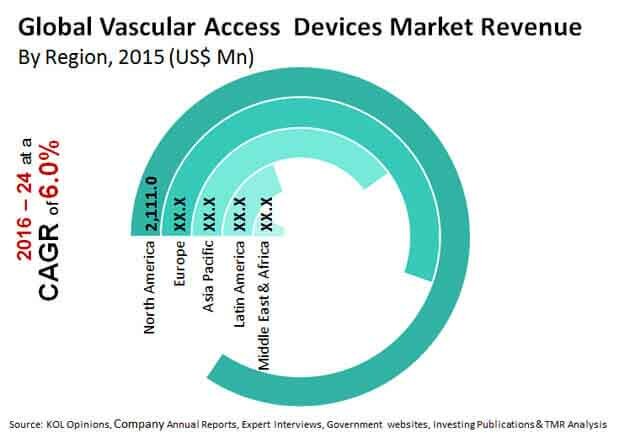 On the contrary, high cost of equipment and lack of expert personnel to handle vascular access devices restricts their adoption mostly to developed countries.